sermons4kids.com- Let’s Go Fishing object lesson with coloring pages, group activities, puzzles, quiz, etc. calvarycurriculum.com- The Fishers of Men lesson #179 with memory verses, circle the correct words, true or false, fill in the blanks, puzzles, and color sheets. 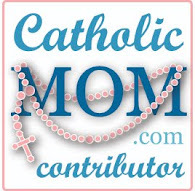 dltk-bible.com- The Twelve Disciples lesson with memory verse, teacher's guide, coloring pages, crafts, bulletin board, puzzle, recipe snack, songs, take home sheets, etc. 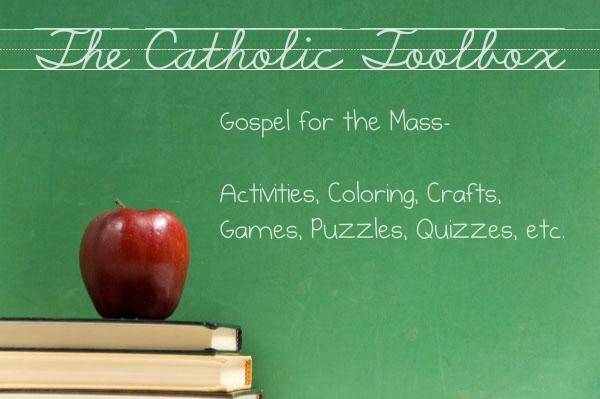 The Catholic Toolbox- Fishers of Men Pre K – K lesson with: Objectives, Word Wall, Bible Story with questions, Songs and/or Finger Plays, Activities, Crafts, Games, Snacks, Coloring/Puzzles, Handwriting Sheets, Mini Books, etc. The Catholic Toolbox- Fishers of Men 1st Grade on Up lesson with: Objectives, Review, Vocabulary Words, Bible Story with questions, Activities, Crafts, Games, Snacks, Puzzles/Mazes/Worksheets, etc. aokcorral.com- Easy Fishing Toy Set (craft to make). Children make a fish then play like they are going fishing. Make a small boat and fish from plastic (old margarine/butter container) to illustrate this story. Magic Fish-in-the-Ocean Puppet- A cute craft that the fish actually swims and comes to the surface. (Crafts From Your Favorite Fairy Tales by Kathy Ross, page 38 & 39). Japanese Wind Sock- (Create a unique "kite") the traditional Japanese carp wind sock. (The Picture Book of Kids' Crafts and Activities by Roxanne Henderson, page 178 & 179). Introduce game: Who are the apostles? What are their names? The idea of this game is just to teach the names of the Apostles. Assign the name of an Apostle to each kid. Then play Simon says, but only use the Apostle's name when talking to each student. And tell each student what Simon says individually. Example: Simon says the Apostle Simon Peter can take one step forward. Only the kid that is Simon Peter can move. The rest of the kids must wait for their turn. Who were the 12 disciples of Jesus? These pages will help your Bible class or Sunday School students know who these 12 ordinary men were. Fisherman of Men- Look at the pictures in each row. Color the pictures in each row that look the same as the first picture in that row. (Big Puzzles for Little Hands: Jesus’ Life and Lessons by Carla Williams, page 25). Jesus Calls Simon Peter- Use this code to see what Jesus said to Simon. (Red Hot Bible Puzzles by Nancy I. Sanders, page 37). enchantedlearning.com- Make edible fish in the Sea of Galilee in a plastic clear cup.